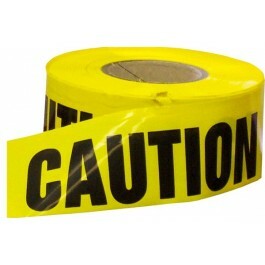 Use yellow caution tape to section off dangerous areas. 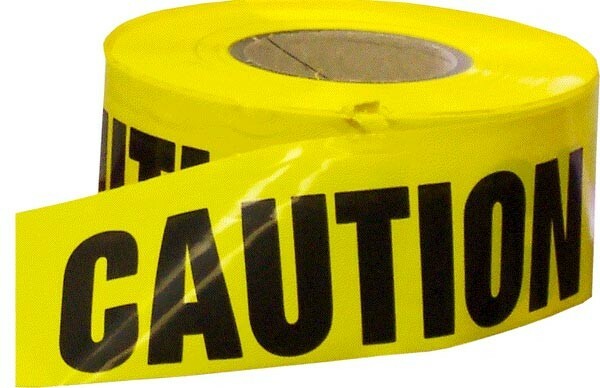 The classic yellow tape is great for crime scenes, cemeteries, construction sites, potholes, forestry applications, as a Halloween decoration, and more! Roll is 1000' long and 1.5 mil thick. Sold by the case. Quantities: 18 rolls.